Chances are unless you live in a brand new home you have given some thought to replacement windows. Initially conceived as an affordable way to replace dated and inefficient windows without having to replace exterior materials of the home, replacement, or retrofit windows are designed to fit into an existing window opening. Historically these replacements were almost universally unimaginative: made of aluminum or vinyl, with plastic fittings. They were an improvement on drafty, single pane glass windows, but aesthetically, they were, in a word, blah. According to Reed Newton, Project Manager for Architectural Windows of Virginia, the number one reason motivating today’s homeowners to look at replacement windows is energy savings. “There are many reasons our clients are looking at replacement windows for their homes,” explains Newton, “but energy efficiency is usually at the top of the list.” Today’s replacement windows, however, are definitely not your grandmother’s replacement windows. They now come in multiple materials and colors, sporting technology and energy efficiency that would impress NASA. Thanks to an unfortunately short-lived tax break in 2009–2010, that sent many homeowners clamoring for energy efficient windows that actually complimented their homes, the industry responded with an exciting array of products to suit almost any taste and style of home. 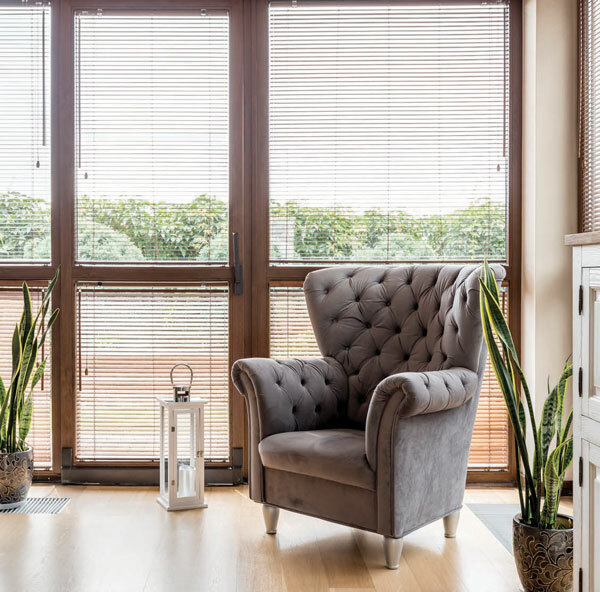 “In addition to energy efficiency, customers are looking to replace old or dilapidated windows with ones that are aesthetically pleasing, noise reducing and that compliment the style of their home,” says Newton. Quality replacement windows, when done right, have the potential to improve a home’s curb appeal, enhance its décor and increase a home’s value, all while saving homeowners money in heating and cooling costs every month. Replacing a home’s windows is an investment, however and not a tiny one. 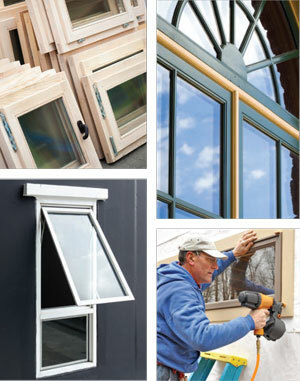 There are many styles of replacement windows out there—and many levels of quality as well. 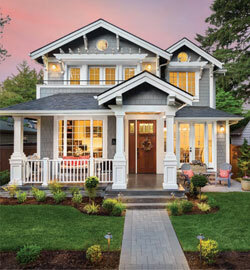 Homeowners considering window replacement should arm themselves with research: keeping in mind both their home’s location and age, as well as trends that best suit their individual home. As with most home improvements, a little bit of homework will ensure that you are getting the right product for your home. Pre-World War II, there were mostly two types of window frame materials: wood and steel. Around the mid-century new technologies abounded, making lighter metals such as aluminum a cheaper alternative and this was followed closely by vinyl, so depending on the age of your home, you may be looking to change out these materials for today’s durable hybrids. Though vinyl window frames are still the most common, there are several materials used to manufacture replacement windows: wood, of course, but also aluminum, wood composite, vinyl and even fiberglass composites. Components have been enhanced to improve durability to withstand most climates without peeling, fading or rotting. 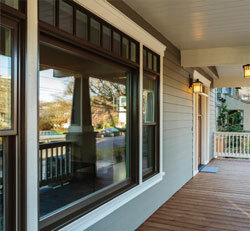 Most quality vinyl windows have 10-20 year guarantees. 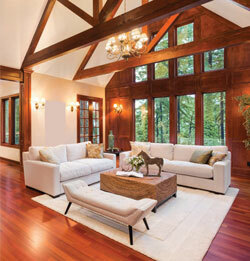 Wood replacement windows are definitely the gold standard. Today’s wood replacement windows undergo a process called “cladding” in which the wood—usually pine, fir, or mahogany— is wrapped (think wrapping paper on a birthday present) in a metal, such as aluminum, or a composite, such as fiberglass, making them exceptionally durable and low-maintenance. Steve Dawson, Manager of Neathawk Window and Door, explains that clad-products are increasingly popular in the replacement window market due to their versatility and durability. “The aluminum clad products enjoy a great deal of popularity because they are extremely durable, come in a wide array of styles, options and colors and allow clients the benefit of the warmth and beauty of wood on the interior and the protection of cladding on the exterior.” Unlike un-clad wood replacements, clad-wood will never need to be painted and the products are guaranteed for up to 50 years. To add to the popularity of clad replacement windows, Newton also points out that replacement windows can be ordered, “pre-finished” in colors, so the frames won’t need painting. “Our customers love that replacement windows can be ordered pre-finished white, for example, to match the existing exterior and interior trim, which means that the windows will not need to be painted,” says Reed. Efficiency is key to this project, so how do you know you are looking at the most efficient products? According to both Dawson and Newton, the right place to start is by insisting upon products that are Energy Star certified. These products go through a rigorous certification process designed by the US Department of Energy and the EPA. Secondly, look for products that bear the National Fenestration Rating Council’s labels. These will include detailed information on the products such as U Factor (which measures the rate at which heat escapes the window), Solar Heat Gain Coefficient (which measures how much solar radiation will penetrate the window) and Air Leakage. Look for products with airtight seals for window openings and double or even triple-paned glass filled with an insulating gas such as Argon. You’ve diligently done your research. 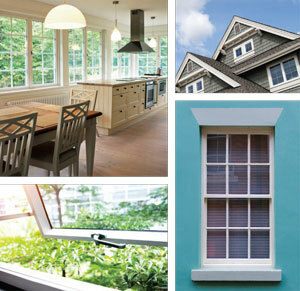 You’ve found a line of windows that fits your budget and that meets or exceeds your efficiency guidelines. Now what? 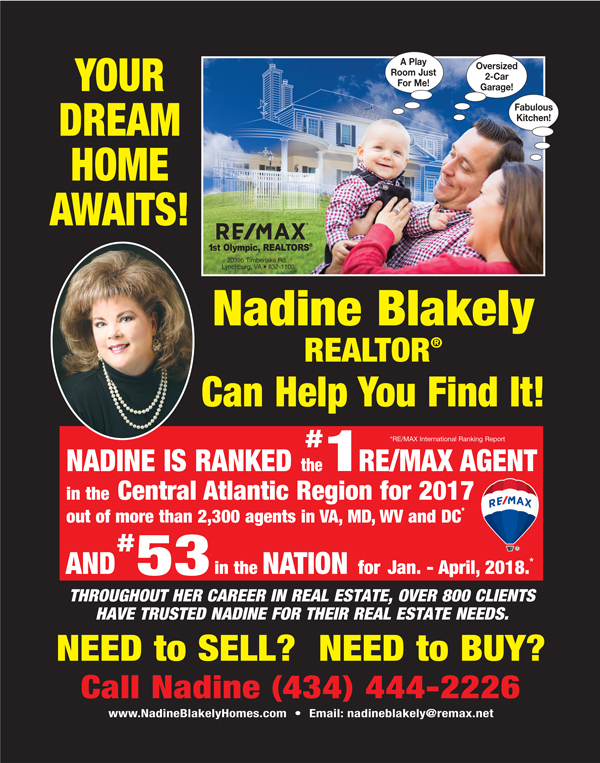 Well, now comes the fun part: individualizing the project for your own home with an eye to what you and your family will enjoy, what will compliment your home’s architecture and décor and what will have universal appeal should you decide to sell in the future. A look at a few current trends in the replacement window market should give you a sound starting point. Replacement windows by definition are designed to replace existing windows and because of that are chosen to fit into the original window opening; the replacement window will be the same size and shape as the window it replaces. However, though conforming to an existing opening limits the size of your replacement window, it needn’t limit the other style choices. Are you interested in changing up the look of your classic doublehung paned windows for something more contemporary? 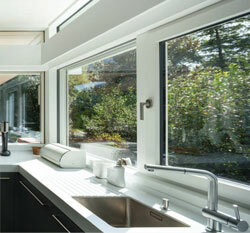 Consider the unfussy ease of pass-through sliders or the increased ventilation of today’s modern casements. There are many styles to choose from to give your home a new look while complimenting your home’s architectural style and age. U-FACTORS: How fast a window will lose heat during cold weather. The higher the number, the greater the heat loss a window displays. Generally, look for a number lower than .3. How well a window will perform in the warmer months, by measuring how much solar radiation penetrates. A good SHGC will be .32 or less. How much air passes through a window. The lower, the better. (.1 is the lowest possible, .2 is good, .3 is average and .4 and above is unacceptable). 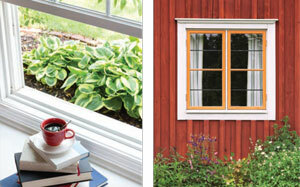 Fantastic new features, going beyond color and style, have been incorporated into today’s array of replacement windows. Homeowners can now find replacements that have extra narrow frames, increasing the glass—and therefore the light—inside your home. There are also replacement windows that have retractable screens, which eliminate the need to remove, store and replace window screens. There are even replacement windows designed with safety and security in mind— windows that come with integrated security systems, which align with your home’s existing security system and others that come with blinds between the glass panes providing an effortless way to achieve privacy without ever having to dust blinds again.